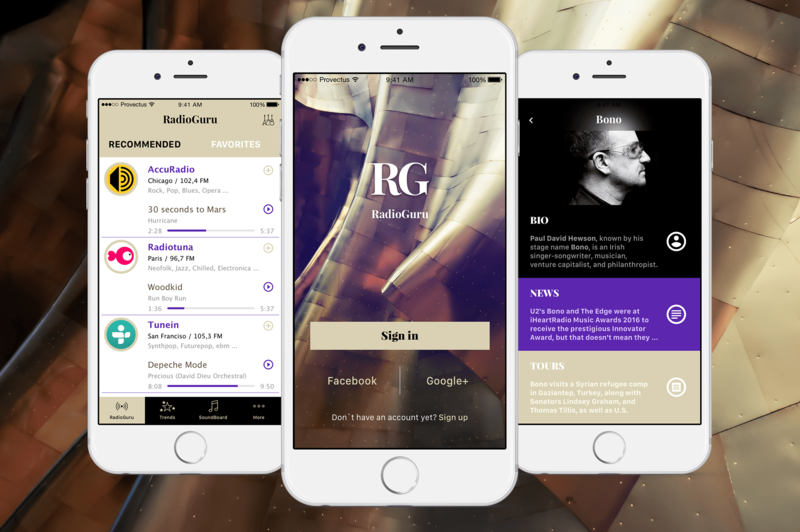 RadioGuru is a new way to listen to the radio. It allows the radio listener to better control and transform their radio listening experience through the use of an easy-to-use mobile application. The system “learns” as users input their musical tastes and preferences. RadioGuru can also rate the songs and artists, as well as feature artists’ profiles. Buying concert tickets and many more functions are in works right now.